UK mobile network Three is offering 'broadband in a box' which does away with line rental charges and offers easy set up. Currently most people pay a fixed line-rental charge which allows broadband to be delivered down their telephone line. Exceptions such as Virgin Media pumping the web via fibre optics into your crib, bypassing the ugly line-rental issue. 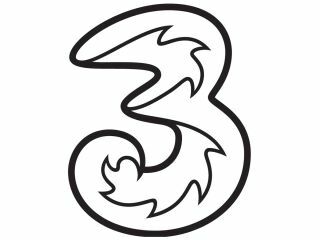 Three has chosen Glasgow, Edinburgh and Leeds to pilot their alternative broadband option the "Web Cube" – which uses a HSPA+ enabled mobile broadband SIM card to bring the internet into homes, thus bypassing any fixed lines and related charges. The "Web Cube" is targeted at renters who frequently move house, students and people with a second home – although it will appeal to anyone who doesn't want the hassle or commitment of a fixed-line contract. The cube acts as a standard wireless router with a 30 meter range and allows users to connect up to 5 devices at a time. Three claim it will be able to deliver typical download speeds of 2-5Mbps and has the potential to offer speeds of up to 10Mbps. Not amazing speeds but enough to get by. What will attract consumers are the simple 'plug and play' interface and the offer of a rolling one-month contract at £15 per month. This includes 10GB of data a month and is ideal for users unwilling to commit to a long term contract, especially if they will be moving shortly. Bear in mind though you'll have to fork out £59.99 for the cube too. There is a 24-month contract on offer which includes a free 'Web Cube' and 15GB of data for those who need a bit more each month and are staying put in the short term at least. If the trial period goes well and Three rolls it out nationwide it could be a great option for people in rural locations unable to get traditional broadband, but with adequate mobile phone signal.